With polka dots firmly back on the fashion front line this season thanks to catwalk heavyweights like Balenciaga, we thought it only fitting to delve into the history of this always-in-style iconic print. First things first, the word “polka” itself derives from the Polish for “Polish woman” — in Czech, it translates to “little woman or girl.” Which makes sense, given the polka dots inherently feminine feel. Marilyn Monroe and Miss America were the polka dot pioneers. 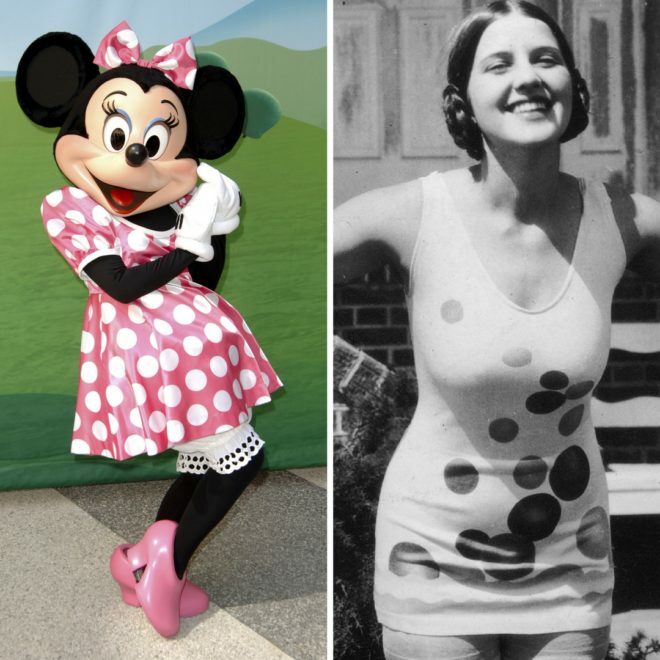 While the love affair with the polka dot perhaps began in 1926 when Miss America was photographed in a polka dot bikini; the first famous protagonist of the polka dot was, of course, Disney’s Minnie Mouse in 1928. Christian Dior used polka dots in his seminal New Look collection, in what Vogue reported was a “direct, unblushing plan to make women extravagantly, romantically, eyelash-battingly female”. It worked, as the polka dot dress was Dior’s best-selling New Look piece in 1954. 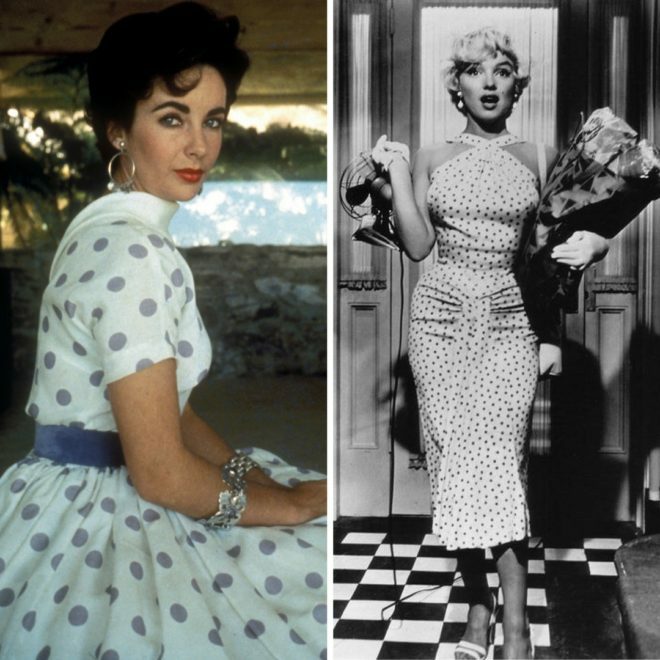 Hollywood royalty quickly fell for the print with the likes of Elizabeth Taylor, Lucille Ball and Marilyn Monroe forming its A-list fan base. In 1951, Monroe was famously photographed in a polka dot bikini and, nine years later, Brian Hyland’s hit ‘Itsy Bitsy Teenie Weenie Yellow Polka Dot Bikini’ topped the charts, putting polka dots firmly back in vogue. Inherently feminine they may be, but male wardrobes weren’t immune from the polka print craze. In 1962, DC Comics introduced Polka-Dot Man with multi-coloured dots. 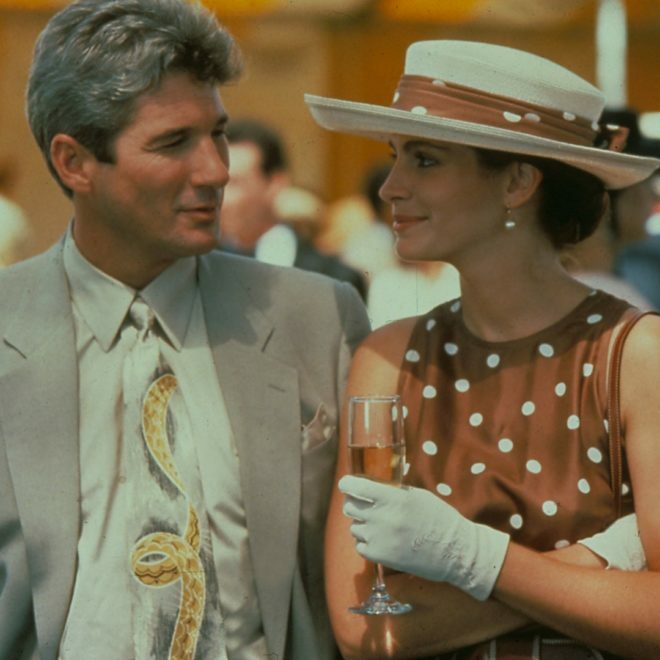 The pop culture references don’t stop there – who can forget Julia Roberts as Vivienne in 1990’s Pretty Woman, attending the races in a polka dot dress and matching hat? It may have been 27 years ago, but feels as relevant today as it did then. Like Dior before her, designer Carolina Herrera used polka dots on most of her dresses during the late 1980s and early 1990s and it remains a key print in her collections. Comme des Garçons’ Rei Kawakubo has said that her earliest memories of fashion comprise “blue and white and polka dots” and prints them on T-shirts and wallets. They remain a firm fixture in the red carpet and off-duty wardrobes of everyone from Emma Stone to Kate Middleton, who wore a white polka dot dress to this year’s Wimbledon. Channel their effortless elegance with our flattering A-line polka dot dress or update your favourite jeans and trousers with our statement ruffled sleeve polka dot top. We guarantee they’re wardrobe classics you’ll rely on for seasons to come.